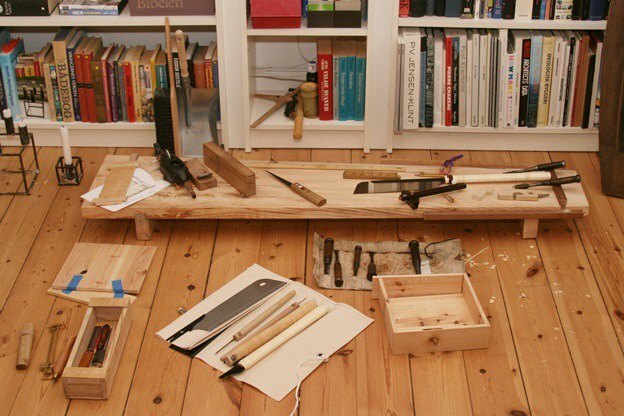 Do you enjoy woodworking and traditional Japanese tools? Maybe you’ve never considered the possibility that you can soon learn a thing or two about the skills that go into working through those motions. Next Saturday, August 29th and for their second year straight, Mokuchi is hosting a Kezurou Kai Mini at Interstate Project’s courtyard from 10 AM to 5 PM. Enthusiasts, first timers, and expert woodworkers are all invited to the endearingly deemed Kez, which mimics Japan’s annual Kezurou Kai. Planing is a technique for treating woodwork wood surfaces: more easily a wood surface is sanded and oiled or varnished to replenish its fibers, but wood planing is known and revered for being the one way of attaining a 100% natural clean wood surface. 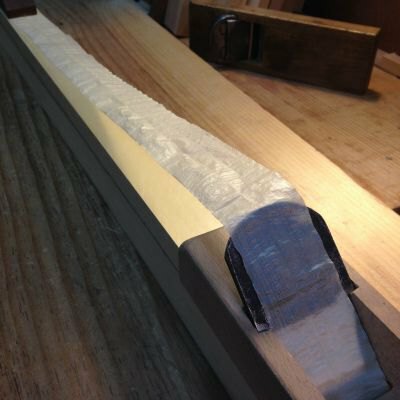 Unlike western hand planing which pushes the wood, Japanese hand planing is pulled to allow a more precise control from the carver. The pulling is done by blades which are made from two types of laminated steel, sharp like the edge of a samurai sword. A smooth top emerges in the peeling and lifting of wood. This modus operandi has become grounds for competition in Japan, where once a year a Kezurou Kai brings together wood planing experts from all over Japan, some competing for title of thinnest wood shaving possible. These wood shavings are measured in microns and are so thin that they become translucent. Like the traditional event, the Kez also seeks out expert woodworkers to compete in a thinnest shaving wood shaving contest. So, if you’re reading this and it applies to you or someone you know, don’t sit around sweating bullets in a summer sulk making excuses for why you can’t sign up for a competition that you rock at, or sit on an awesome opportunity for a friend. Winner receives a grand grand prize. That’s not a typo, but a bonafide descriptor if you like the way Two Pines Trading Company does their stuff. I’ll get back to that. Mokuchi is well aware that not everybody will have context for a Kezurou Kai, so have included several learning based activities for introduction, making for a broader understanding of how these tools culminate to create such a massively popular utility. There will be tool demonstrations and (supervised) stations where you can try out a couple tools. Passes are distinguished under Competitor and Spectator and can be purchased here. 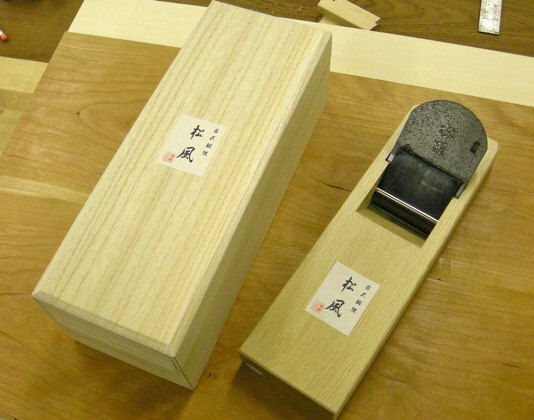 With supervision, there will be stations where you can try out the Obiki and the Japanese hand plane. Who knew the polar opposite slogans of living on the edge and staying safe would meet in a wonderful learning activity, like a rabbit is pulled from a magicians hat, without any staged mystery. Are you giddy yet? 1. You will be given the choice of using the provided premium Port Orford cedar or Alaskan Yellow cedar during competition. 2. Each competitor has a minimum two hour slot for warming up on a traditional planing bench. 3. The station will be equipped with water and tubs for sharpening. In the name of setting the stakes extremely high and igniting competitive spirit, the winner will receive receive a Matsukaze 70 mm, blue steel plan, set in a shirogashi (white oak) dai with tsutsumi made by Koyama. The prize is sponsored by Twin Pines Trading Company and is a $454 retail value. Kezurou Kai Mini is on Saturday, August 29th from 10 a.m. to 5 p.m. at the courtyard of Interstate Gallery between Grattan St. and Harrison Pl.